SapioBlog: What happens to your blood when a snake bites you? What happens to your blood when a snake bites you? Let's say you are walking in Africa, minding your own business... when suddenly a snake bites you. Let's put it this way: you are in trouble. 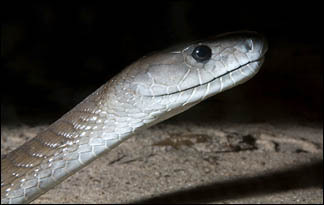 Do you know why they call the black mamba snake "seven steps"? Because that's what you can do after you're bitten before you die. As a way of showing you what the venom can do - in this short video below the break, they've put one (one) drop of a Russell's Viper's venom into a Petri dish of blood. The result is bloodcurdling (pun intended).